The House Small Business Committee oversees the Small Business Administration. 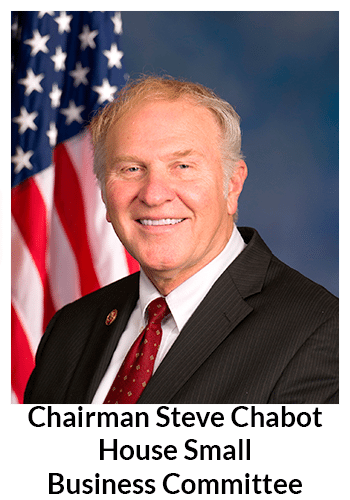 Recently, the Committee acquired a new Chairman, Congressman Steve Chabot of Ohio. While new to the chairmanship, Congressman Chabot has been serving on the Committee for 19 years. I had the chance to interview the Chairman on a late Friday afternoon. As I am not a reporter from a big national publication or a local Ohio news outlet, the very fact that the Chairman wanted to do the interview suggests how important communication with the small business community is to him. The responses below are from the Congressmen. Text in italics are not from the Congressman but provide context for the question or remarks. What can the SBC do to promote SBA Loan program efficiencies? In our conversation, the Congressman talked about the frustration of his constituents with the SBA loan application process. He mentioned that many of his constituents had to spend days putting together the application, and then wait weeks or even months to hear back on the status of their application. SBA loan processing is time and labor intensive, but it doesn’t need to be. We live in a time when technology is making things more efficient every day. The SBA needs to work with our Committee to modernize and improve its processes. Take for example, electronic signatures. It wasn’t until this past January that the SBA started accepting electronic signatures, which means that if you applied for an SBA loan this time last year, hard copy signatures were required for all their documents – and there are a lot of documents. So upgrading the way we handle basic processes like this can impact the ability of a lender to engage an entrepreneur that they may not have otherwise. Making the process less bureaucratic, and more business friendly is the goal, and the Committee is actively looking at ways to make that happen. Are the 7(a), SBIC, and 504 programs zero cost to taxpayers? Congressman Chabot is known to be a fighter against wasteful government spending. I asked him if the SBA loan programs cost the taxpayers money. He provided two answers to this question. The one below (that the SBA loan program does not technically cost the taxpayer money) and a more nuanced answer. He noted that there is an opportunity cost to the loan program. When the government guarantees tens of billions of dollars of loans, it creates a potential future liability if those loans default. In other words, the program does not cost the taxpayer money currently, but there is the potential for it to cost taxpayers in the future, which is why he stressed responsible oversight of the programs is critical. Currently all those programs operate at zero cost. The SBA loan programs are designed to operate at zero cost to the taxpayer, because the cost of administering the programs is collected in fees from borrowers and lenders, which achieve the zero subsidy rate. In FY 2015, the 7(a) loan program actually operated at a negative subsidy rate, meaning it brought in more money than was necessary to cover the cost of the program. When this happens, Congress has the flexibility to actually lower rates for the program, which is exactly what we did for veterans this week. What simple non-partisan steps can congress take to make life easier for small businesses? During our discussion Section 179 of the tax code came up. This section of the tax code enables businesses to deduct the purchase of assets like heavy machinery and trucks at an accelerated rate. 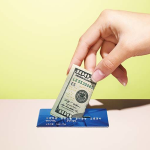 Basically, it more closely ties when the business spends money on these purchases and when the business can deduct the purchase as a business expense. 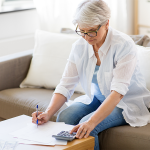 Unfortunately, this provision of the tax code expired recently, and many small business owners did not know if it would be renewed retroactively. As a result, many small business owners held off on purchases and potentially missed out on getting better deals on the purchase of equipment. Uncertainty is the biggest impediment to growth in my opinion. When a business owner doesn’t know what their tax liability will be next year or even this year, they cannot plan for the future. The Small Business Committee understands this and is working on policies that will restore some certainty for small business owners. For example, earlier this year, the House of Representatives passed H.R. 636, the Small Business Tax Relief Act. This bill makes Section 179 of the tax code permanent, so that small businesses can expense up to $500,000 of investments in new equipment and property per year. This simple provision is often passed at the 11th hour, and applied retroactively, which completely defeats the purpose of having the incentive in the first place. This bill has not yet passed the Senate, but I am hopeful it will, and I encourage all of your readers to voice their support for this measure. 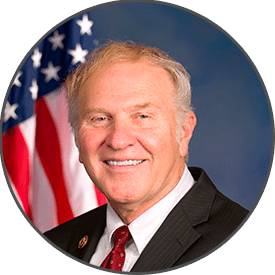 Chairman Steve Chabot has proudly served on the House Small Business Committee since first being elected to Congress in 1994. During his time in Congress, he has made small business growth and job creation a top priority. Chabot served as Ranking Member on the Small Business Committee from 2007-2008. During the 113th Congress, he also served as Chairman of the Foreign Affairs Subcommittee on Asia and the Pacific, where he focused on opening new markets and expanding trade opportunities for American businesses. He has also served as Chairman of the Foreign Affairs Subcommittee on Middle East and South Asia, and prior to that was Chairman of the Judiciary Subcommittee on the Constitution for six years. Chabot is a proud 1971 graduate of Cincinnati’s LaSalle High School. He earned his undergraduate degree from the College of William and Mary, and then returned to Cincinnati to teach at St. Joseph’s School in the West End, while studying at Northern Kentucky University’s Salmon P. Chase College of Law in the evening. He and his wife, Donna, live in the Cincinnati neighborhood of Westwood. They have two children, Erica and Randy, and are the proud grandparents of Reed. Nicely Written !!! Thanks for writing about bots – Our belief is bots are going to be the defacto interaction channel on the defacto personal device, the smartphone. The technology and potential is still in its infancy with the immediate solves being in interaction design, business cases to apply, removing interaction constraints and acceptance. The big win is that the technology has inherent automation, machine learning and 24 x 7 intelligent availability.